Lovis Corinth, National Gallery of Art, Washington, 1993-1994, no. 66, as Fruit Garden in Autumn. 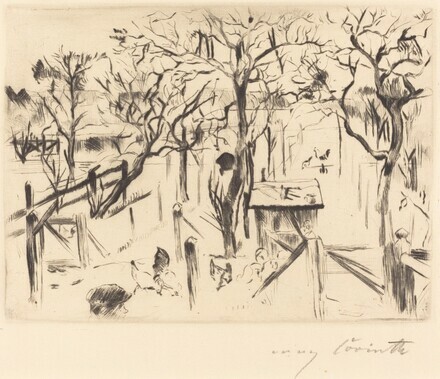 With, Christopher B. Lovis Corinth: Master Prints and Drawings from the Marcy Family and the National Gallery of Art. Exh. cat. National Gallery of Art, Washington, 1993-1994: no. 66.